On March 11, Dan Doron from the Ohio Consumers Counsel gave tips on how to spot a potential utility scammer during his time on America’s Work Force. Doron said that on average, every fifteen minutes, one person falls for a utility scam, and they all could be avoided if that person had known the warning signs of a scammer. He went over some of the scams being used, such as caller ID spoofing, cramming, slamming, yes scam and other scams where the scammer puts a lot of pressure on consumers in hopes that they fall for their scam. Some of the warning signs of a scammer that Doron discussed were if they are demanding immediate payment, asking for personal account information over the phone, and putting increased pressure on a consumer to have them sign up for a “better plan.” Doron said that if you are ever concerned about something, that you should take out your utility bill and call the number listed on it and ask questions directly to your utility provider so they can clear up any confusion you may have. 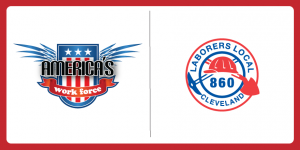 Tony Liberatore, Jr., Laborers Local 860, spoke with AWF on March 11 about the spring construction season. He discussed slowing down and respecting the speed limit in construction zones for the safety of the workers onsite. Liberatore also discussed plans to improve Ohio’s roads from the proposed gas tax increase of 18 cents. The state countered DeWine’s gas tax increase proposition by stating that they would go for a 10.7 cent gas tax increase, rather than DeWine’s 18 cents. AWF host Ed “Flash” Ferenc talked about the Green New Deal and how people are saying that some legislators are against it and state that it is filled with lessons about how not to negotiate for cleaner energy. On Feb. 11, Dan Doron from the Ohio Consumers’ Counsel discussed utility marketing problems during his time on America’s Work Force. Doron discussed First Energy benefiting from tax reductions and how they agreed with Public Utilities Commission of Ohio to return 900 million dollars to its customers, which will result in a reduction in consumer bills. The reduction is projected to be around five dollars a month per customer. First Energy will also be upgrading their delivery system by installing advanced readers that will be able to provide both the company and customers with feedback on electric usage. Doron also talked about utility billing issues with consumers and learning the difference between being billed on the cost of distributing and the cost of how much of the utility a consumer actually uses. Lastly, Doron shared valuable information on how to avoid being scammed and how you can spot a scammer. AWF host Ed “Flash” Ferenc discussed the fight to increase the minimum wage to 15 dollars by 2024. He also mentioned a story of a person who worked 70-hour weeks on two minimum wage fast food jobs and how he was still unable to support his family. Ohio Consumers’ Counsel provided tips on how to save money on energy during the winter months on the Jan. 14 edition of America’s Work Force. Dan Doron, Public Affairs Director with Ohio Consumers’ Counsel, discussed ways on how to be more energy efficient during the winter months to help save money on utility bills. Doron stated that utility users should be more aware of holes in walls, gaps between doors and floors, and covering them up to keep your energy use more efficient. He also mentioned checking your thermostat to make sure it is at an appropriate temperature and even setting it five degrees colder in the winter or five degrees warmer in the summer to save more money. Doron then talked about improving home energy efficiency in the new year by fixing holes in walls, checking your insulation, and changing furnace filters. Human Resources Director, Kris Dzikas at Precision Valve and Automation discussed her company providing free health care to workers and their families. Dzikas described the benefits of having their health care provider in-house and how it is helping reduce absenteeism. She said that whenever a worker is not feeling well, they can receive a check up in the clinic, get treated, and get back to work. Dzikas stated that workers are being proactive with their health and are taking better care of themselves because of their in-house clinic. AWF host Ed “Flash” Ferenc talked about week three of the ongoing partial government shutdown and the effects it is having on the furloughed employees. Guests on America’s Work Force Radio talked about veteran’s services and savings on utility bills. On the Nov. 12 edition of AWF, Dan Doron, with the Ohio Consumer Counsel, discussed an Ohio utility payment plan for veterans called the Patriot Plan, which requires utility companies to offer a payment plan to active-duty military members to repay previous debt without late fees or interest. 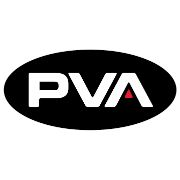 Payment plans can be extended up to the amount of months a service member was deployed. Doron provided tips on how to save money on utility bills during the winter season and talked about door-to-door marketers from energy companies and the Block-the-Knock registry. 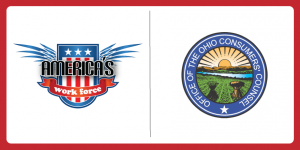 Jon Reiss, from the Cuyahoga County Veteran Services Commission, joined America’s Work Force Radio and spoke about services offered by the CCVSC to veterans. These services include, but are not limited to crisis lines, financial assistance and memorial affairs. Show host Ed “Flash” Ferenc wishes all veterans and current military members a happy Veteran’s Day and thanks all who have served or are currently serving our country.